Just before starting second grade, Jim Kristofic moved from Pittsburgh across the country to Ganado, Arizona, when his mother took a job at a hospital on the Navajo Reservation. 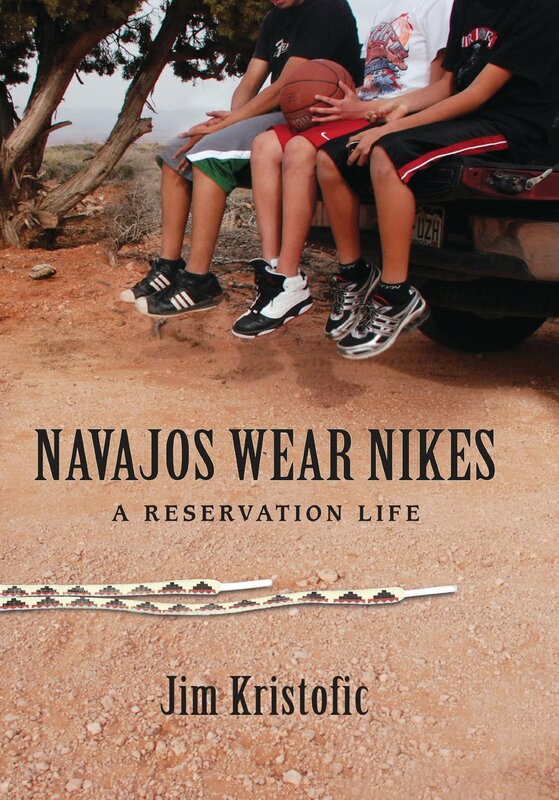 Navajos Wear Nikes reveals the complexity of modern life on the Navajo Reservation, a world where Anglo and Navajo coexisted in a tenuous truce. After the births of his Navajo half-siblings, Jim and his family moved off the Reservation to an Arizona border town where they struggled to readapt to an Anglo world that no longer felt like home. With tales of gangs and skinwalkers, an Indian Boy Scout troop, a fanatical Sunday school teacher, and the author's own experience of sincere friendships that lead to hoézhoé (beautiful harmony), Kristofic's memoir is an honest portrait of growing up on-and growing to love-the Reservation. Jim Kristofic has worked on and off the "Rez" for more than ten years as a river guide, journalist, and oral historian. He has written for The Navajo Times, Arizona Highways, and High Country News. He and his wife currently live in eastern Pennsylvania.